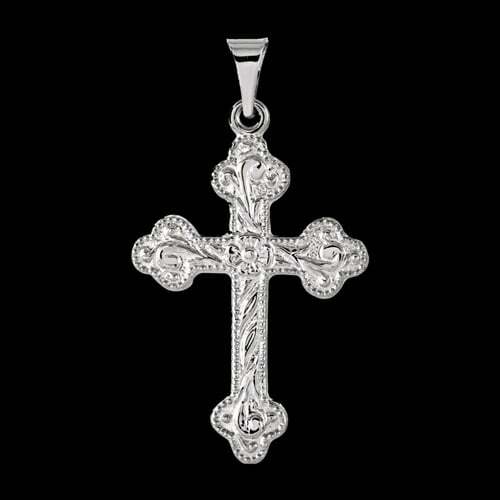 Platinum Floral Cross Pendant. 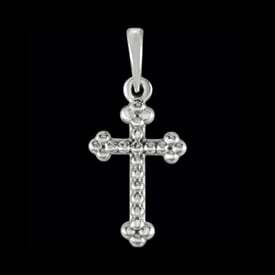 This Platinum Cross features a floral center design with trefoil tips and a rose center. 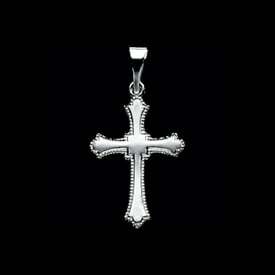 Platinum cross meausres 23.5mm in length by 17mm across. (25mm - 1 inch). 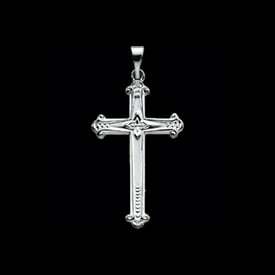 Cross weighs 3grams. 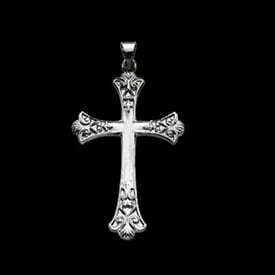 A Nice Cross at an affordable price. 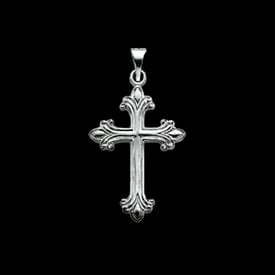 MORE Platinum cross pendants available at GraciousRose.com.